Travel guide books are one of the various helpful resources that I use whenever I plan for a new getaway. Now if you’ve read my post back in February (wherein I detailed my travel plans for the year), I bet you’ve seen how I scheduled a Japan trip this March; and for sure, with such a dynamic and eccentric country such as theirs, the guidance of books helps a LOT. I may be a huge fan of the Japanese culture for years, and I also love watching anime and reading manga — but nothing can really beat the true-blue books that are written not only by Japanese locals but by Japan ‘experts’ too. Thankfully, Tuttle Publishing was more than happy to send some paperback copies over my way in order to aid me in my travel planning! After reading for weeks through all the material that they have sent me, I can say with confidence that my upcoming Japan trip will be… EPIC. Tuttle Publishing was established in 1948 in Vermont and Japan. Today, it is regarded as the premier publisher and seller of books that are rooted in Asian culture, language, and history and they are generally available at leading bookstores in your city. When purchasing their books online, you can choose either a print or eBook copy. They ship worldwide and any order that is delivered within the United States is free when you spend $35 or more. I’m keeping my intended activities and itinerary secret for now, but you’ll surely see it once my journey ends and I start posting articles about it! For the meantime, I will share with you the resources that I have used which helped me a TON. 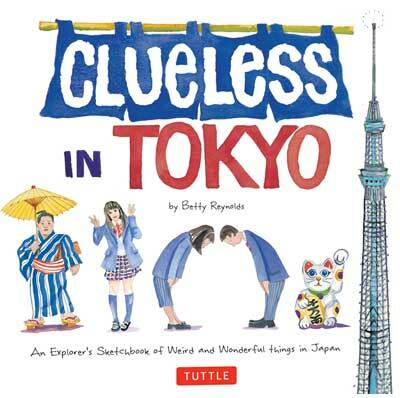 This is an amazing guidebook that not only shows you vivid photographs of Tokyo, but also shows you various insights that will help you understand this complex city, the culture, and its people. Given the vast experiences and knowledge of the author who has been based in Tokyo for a long time, you will be delighted with this book as you discover culinary must-trys as well as ideas on interesting places to visit around the metropolis. I LOVED reading this book because even if I already know several habits and customs of the Japanese, the author here had shared heaps of information that I haven’t learned yet! Drawn in charming watercolor sketches with accompanying Japanese terms, she delved into the various differences between traditional Japanese clothing, the “kawaii” (cute) lifestyle, the various traditions and festivals in Tokyo — and more. That being said, I believe that this is a must-read! I will personally be carrying this with me as I go on my trip. If you want to see Tokyo in the eyes of an artist and a foreigner who has spent months within the confines of Tokyo, then this book is for you! I truly enjoyed flipping through these pages as I continue to read his witty notes on the varied observations that he makes on people, things, items, advertisements, and more. Apart from that, he also displays his hand-drawn maps that provide information about the various neighborhoods in the city — hence; it can prove to be very helpful for your trip planning. Possibly every information that you might need for a convenient Tokyo travel guide is packed within this compact guidebook! A pull-out map is even included within its pages, so what more can you ask for? Straight-forward and precise, the book has 4 chapters: ‘Tokyo’s Best Sights’ for the top 13 not-to-be-missed experiences, ‘Exploring Tokyo’ for the top attractions in every district, ‘Author’s Recommendation’ for the recommended spots (may it be hotels, restaurants, activities, shopping, etc. ), and ‘Travel Facts’ for useful info such as Japanese phrases, transport, money, visa, etc. Ever wondered about all the hype over manga, anime, J-Pop, or whatnot? 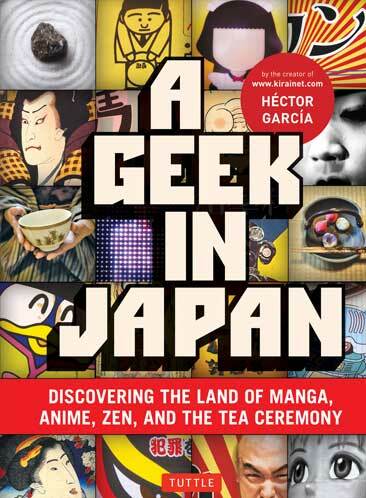 Well.. wonder no more because ‘A Geek in Japan’ will spell it all out for you! And if you happen to be a geek yourself, then this is the smartest and most concise guide that will ever lay in your hands. I’m an anime and manga “otaku” myself so this was a great read that answered all my questions and curiosities. 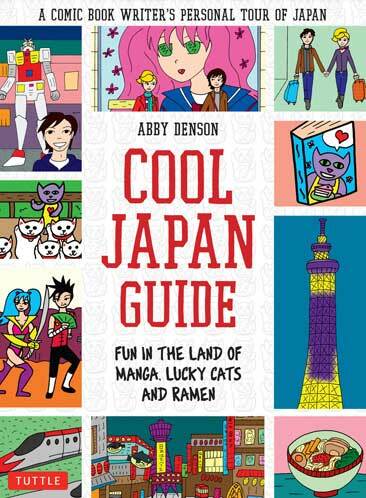 If you want to learn more about Japan in a way that the facts are presented to you in comic-form, this book by comic book artist Abby Denson will then fit your needs! As you flip through its pages, you will feel like you are being taken into a fun tour from Tokyo, to Kyoto, and beyond. From complete Japanese shopping experiences, to Japanese food, zen gardens, and arts — you’ll find it all right here. 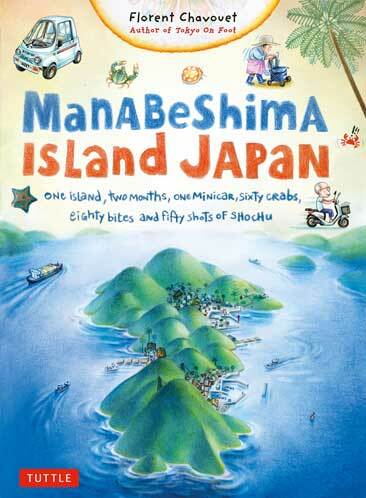 It’s a known fact that Japan has several islands speckled within its territories; so if you have the time to explore a different island other than the main one, why not try Manabeshima? It’s a small island off the coast in Osaka which only has 300 residents, but Florent Chavouet depicted this place so beautifully that it’s hard not to be enticed by it. 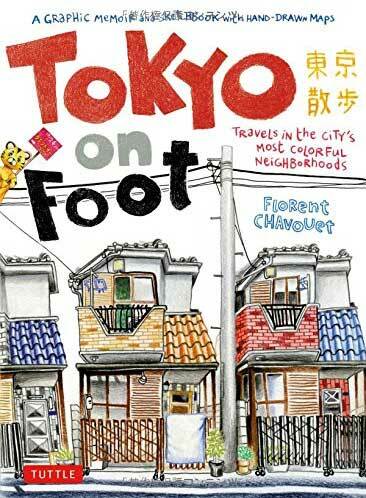 As the same author as that of Tokyo on Foot, you’re in for an entertaining read with this one! This has been awarded as the Gold Award winner in the Travel Book Guide Category in the 2013 North American Travel Journalists Association, and it’s not difficult to see why. All the tips here were absolutely interesting, and it helped shaped up my whole 3-week itinerary! 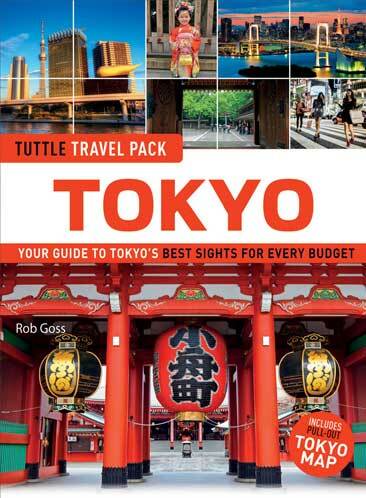 Much like the Tokyo Tuttle Travel Pack, this guidebook is compact and lightweight so you can easily fit it in your daypack; plus, it also has a pull-out map to that will help you plan out your excursions in every part of the country. 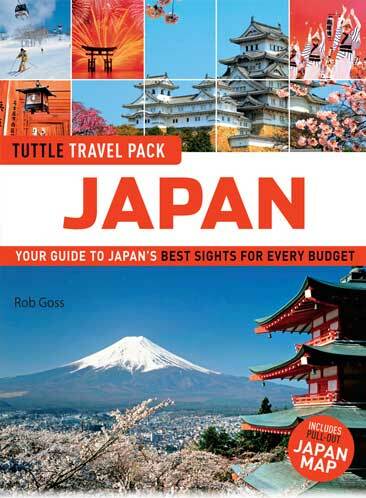 Simply put: it’s a must-have for you when you’re heading to Japan! It’s no news that the majority of the Japanese don’t speak English so well; therefore, it’s quite imperative to learn a several phrases as you travel throughout Japan. 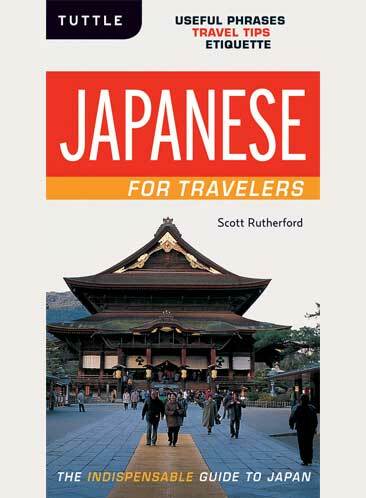 Sure enough, this book does a great job of teaching you everyday phrases as well as less common ones so that you can easily converse with locals.The sections include: basic communication, money, mail, getting around, eating and restaurants, lodging, leisue, illness, and trains. I bet you’re also interested in visiting Japan sometime in the future, so how about we — Tuttle Publishing and I — give you a hand? Come and join our giveaway and you can win 3 of the books above! THREE (3) lucky winners will each get 3 books of their choice from the books listed above (subject to availability) and it will be delivered to their individual addresses (within U.S. or the Philippines) for FREE. Do the 4 required steps that will be displayed below. Each action will give you entry points for winning — take note that the 4th step (tweeting) can be done everyday so you can gain MORE entries! *Once you finish doing these 4 required steps, it will unlock 6 other (optional) entry options, thereby giving you MORE entries that will thereby increase your chances of winning! This giveaway is open to anyone in the U.S. and/or the Philippines. This giveaway will start on March 10(12AM – GMT + 8 Time) and will end on March 18 (12AM). Winner will be picked randomly and will be announced in March 19 on the ‘I am Aileen’ Facebook page. 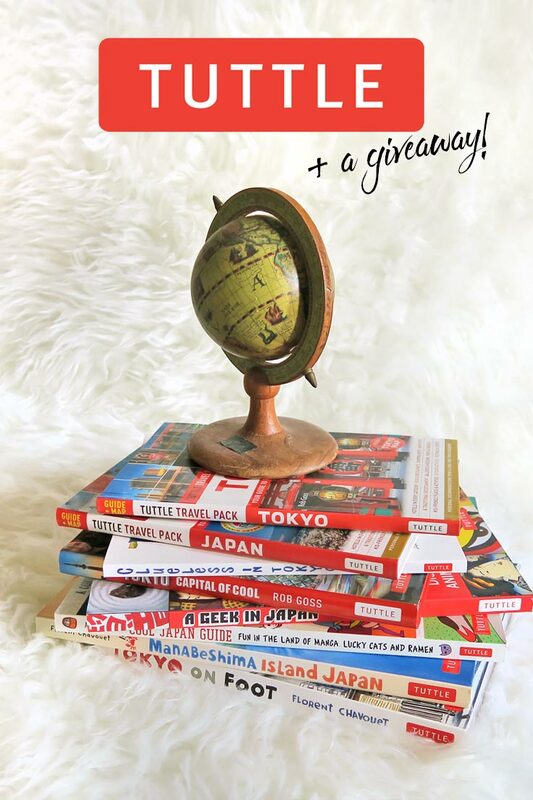 This giveaway is hosted by me, Aileen, in partnership with Tuttle Publishing; but prize distribution will be the sole responsibility of Tuttle Publishing. .
What do you think of Tuttle books? What of the Japan books above are you interested in? These are GREAT, Aileen! Thanks for the post! I didn't stumble upon this until just now, so the giveaway is over, but I am intrigued enough that I might look into buying some of the books. I hope to be moving to Japan soon and I think I could really enjoy a few of them. I hope you are enjoying Japan and I look forward to reading about your experiences! Thanks Sarah! And aw, yeah, it just ended — nevertheless, I'm glad to hear that these books have intrigued you! Lucky you by the way to have the chance to move there. I would have loved to live in Japan too even for just a while. Thanks again — I'm truly enjoying my stay and I wish all the best in your future Japan trip! Congratulations! I just sent you an email, please kindly reply with the details I've asked for. Cheers! Have you been reading my mind??? I am looking to visit Tokyo this year real soon! Its on my bucketlist and these are some amazing books! Awesome! I must have that power, then :P Haha! Good luck Kiwi and I hope you get to make that Tokyo trip happen! Woah, I am an avid fan of Japanese culture and this publishing company sure is captivating! Unfortunately, I have never been to Japan and I haven't had the chance to plan a trip in the near future but I still wouldn't mind buying any one of their books! I can keep it for future reference! Thanks for sharing about Tuttle, Aileen! Sure thing, and I bet that in time, you'll be in Japan! :D Thanks as well Trisha. Loved the post! Japan is one of my favorite places to visit! Hope you have a wonderful time! We are planning to visit Japan between July or August :) such a coincidence! Awesome to hear, Natalie! You will love Japan — I'm already loving it! Tuttle Publishing has such a wide range of books for Japan. I really like the variety and uniqueness of the different titles. 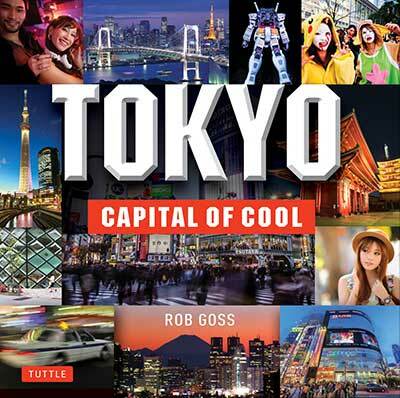 I love the 'Cool in Japan', 'A Geek in Japan' and the' Toyko Travel Pack' books the most. Those are some of my favorites too! They're a really helpful resource — that's for sure! Ah to bad I can't enter! These books would be SO USEFUL for my upcoming trip to Japan in April and May... Have a great trip Aileen and I am looking forward to reading your stories. Aw I'm sorry Lotte! But there should be more giveaways soon that will be open to European readers :D And hey, enjoy your trip! You will love Japan for sure! I've never been to Japan.. and when I go, I need guides like these! I'm impressed with the collection here. I have joined the giveaway too. I've heard so many nice things about Japan and hope to visit someday. Awesome to hear Vidya! :D Good luck. Amazing, thanks! Entered. People say that travel guide books have seen their day, though I actaully still love traveling with a paperback. There's often information in these that you don't get from the internet, and they do come in handy when you don't have access to WiFi but need some info quickly. Thanks for sharing - we're in Australia now so hopefully can get to Japan soon!